In the newer versions, like uTorrent 3.4.2 sponsored ads are shown in the UI which can be turned off with its advanced settings. Many people know about this trick but not all of the users knows how to disable them in their application. In version 3 and later versions of uTorrent, Sponsored Ads are shown within the application and many people thinks that they are needed to buy the full version to disable them, but that's not true. These Ads are optional and can be turned off using its Advanced settings. But before going forward and start tweaking, I will suggest you to handle it with care as it can cause blocking of downloading of your torrents if you disable the settings which is necessary for getting and downloading torrent files. You may also want to know How to Download Torrents with IDM? 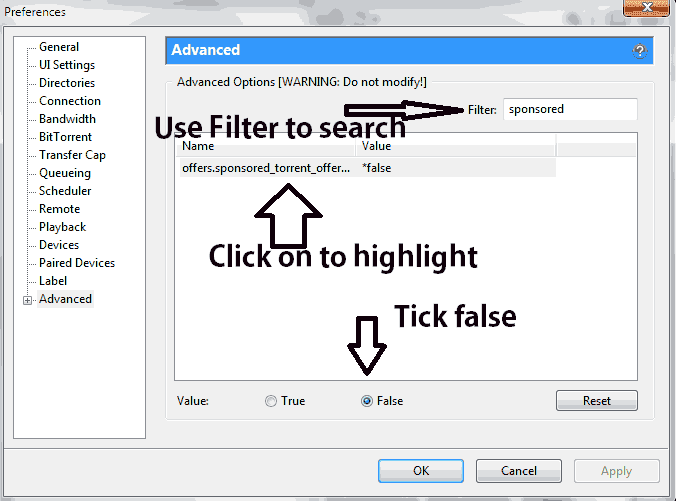 Now follow these easy steps to disable Ads in your uTorrent. First of all, you will need to open uTorrent Application. If you haven't installed it yet than download and install it now. Now, click on Preferences, See the settings icon on the top right corner of the application. Click on the Advanced which is in the bottom left Tab. Now you can see the long list of advanced settings in the right hand side. Scroll down until you find offers.sponsored_torrent_offer_enabled and than tick on False. Note: If you're getting trouble in finding the above advanced options than you can use the Filter to search for it. Now scroll down until you find gui.show_plus_upsell or search for it using Filter. After finding it disable it by ticking False. 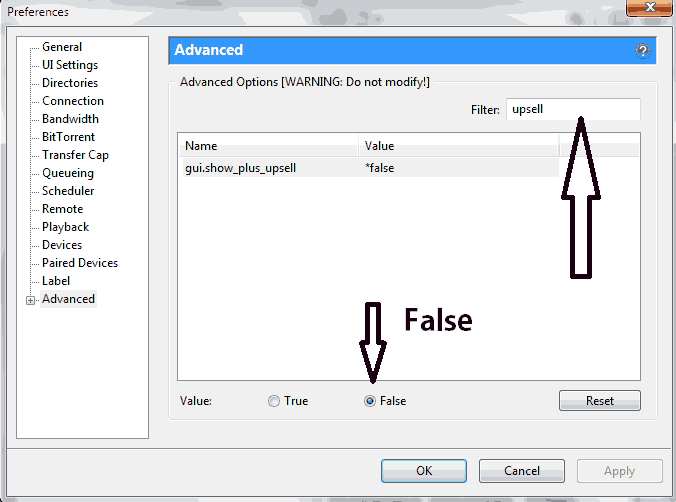 Just like that find offers.left_rail_offer_enabled, gui.show_notorrents_node, offers.content_offer_autoexec, bt.enable_pulse and change the value to False if they are True by default. See the video to see it working. 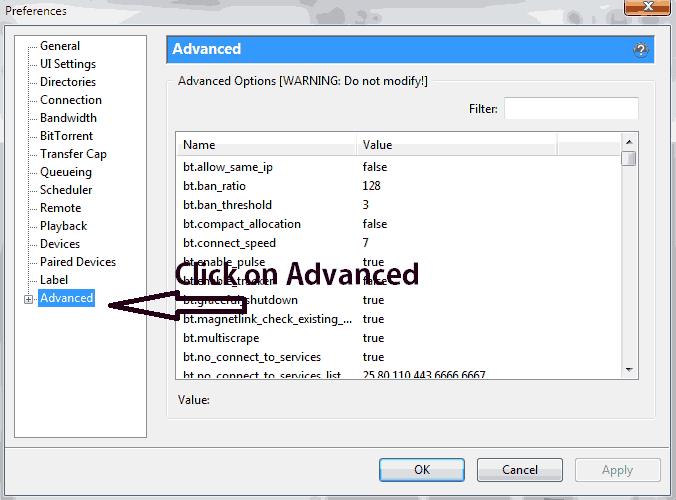 This way, you can block and disable Ads on your newer uTorrent versions easily. Now to make the changes to take affect, you'll need to fully close the uTorrent. After closing it, you can enjoy non-intrusive Torrent which down't have any Sponsored Ads in the UI. It is suggested to turn off auto-update after disabling the Sponsored Ads. Keep Visiting for more tweaks and tricks.